Ok so you want to fly. There are in fact many ways of getting airborne. 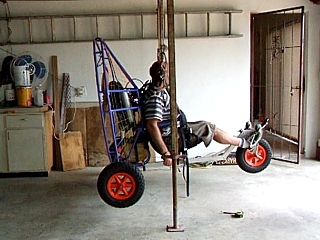 Most of the wings and powered paraglider set ups do the same thing. I.e. get you in the air. 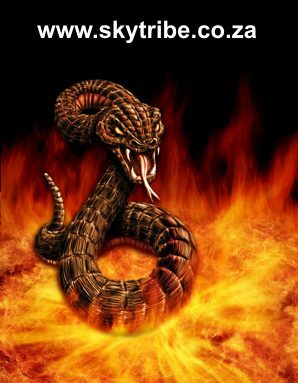 -Some have more power and some are strong enough to push two people. Flying two up will require a separate wing designed for larger weights. 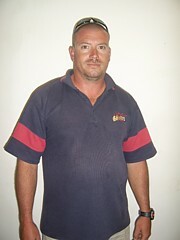 Firstly your weight will determine what engine we supply you. Also at the altitude above sea level. The higher you go the more power you usually need. 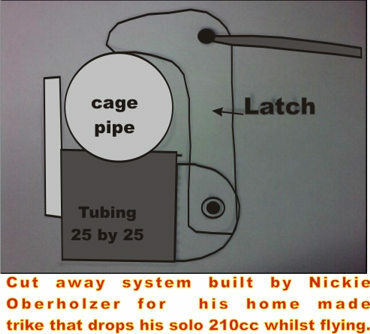 Thirdly do you wish to make your own?/ For this you will need someone with a lathe and milling machine, then from our plans is real easy. 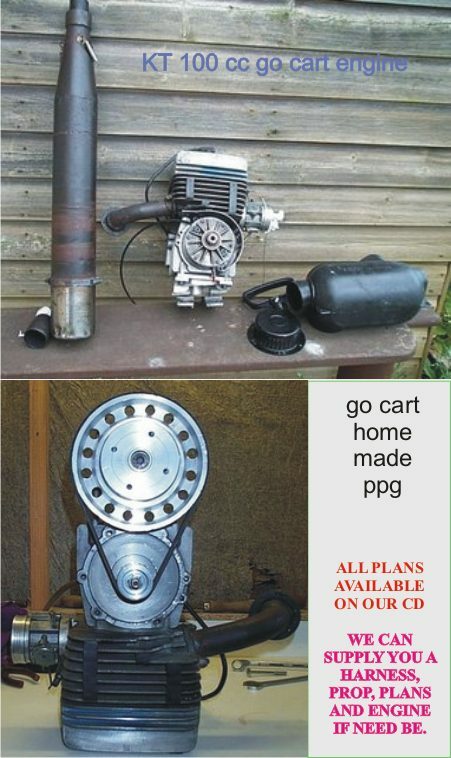 Making your own can be done from motor bike engines, go cart engines and most other providing they are light enough. 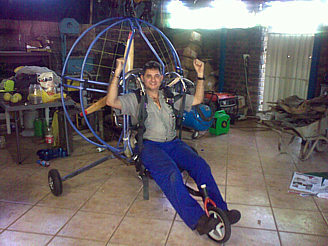 (see our photos of the paratrike on wheelsmade from a motor bike engine and go cart paramotor). This will depend where in the world you are situated on weather you require a license of not. My advice is get going with the groundwork, which you can do yourself and then take the next step afterwards by possibly gaining some formal training. HOW SAFE?? Probable the safest form of aviation around as unlike other forms of flight it doesn’t matter if your engine stops as you simply glider slowly down. The golden rule is try and always stay out of turbulence and avoid anything solid. 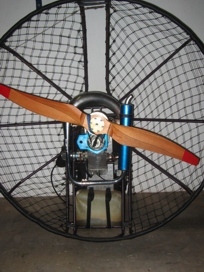 The word ‘paratrike’ conjurers up images of large rotax 912 engines with huge square parachute type wings above your head. It also unfortunately due to the unscrupulous nature of some schools involves more often than not, tens to hundreds of thousands of rands. 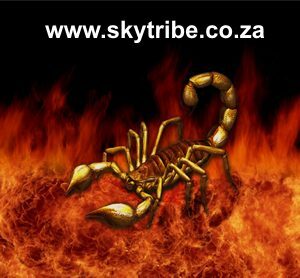 We at SkyTribe pride ourselves in providing up to date knowledge about he most cost affective manner in getting in the air which hopefully will help you spend as little as possible yet maintaining the safety aspect of the sport. Those that the upper carriage and underneath are all one design and cannot be separated into a foot launched version. 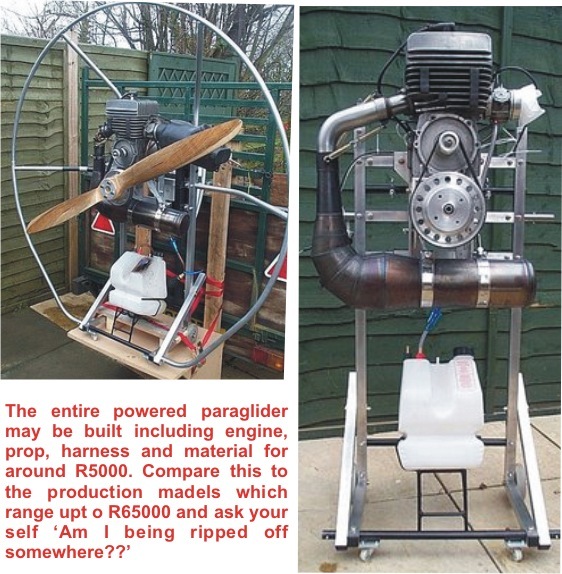 These usually are the large heavier versions and very expensive unless you purchase a cheap Rotax 513 microlight and convert it easily to one of these large monsters. We will have pics up shortly about this process. 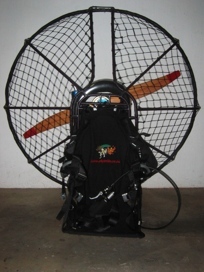 Usually with these designs you are sitting in a separate seat configuration and not using the paraglider harness. The clip in points are usually on separate bars that are an integral configuration of the overall frame design. 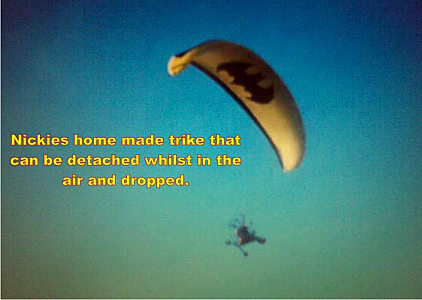 B) Where it may be dropped after take off or on lift off allowing you to be a conventional powered parglider pilot again. (here a cut away system is in place allowing you to drop it after take off) or alternatively it is not secured to the undercarriage and on lift off it simply remains behind on the ground. 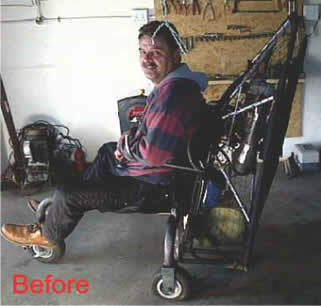 Shown here is one of our members that made a trike undercarriage carriage that he drops once airborne. It makes taking off in nill wind that much more easier not having to run at all. 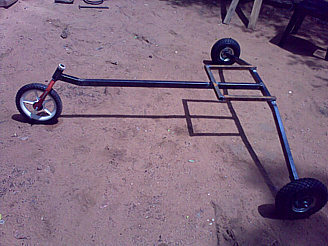 The construction is very simple and easy. I used 32mm square tubing for the frame which I spanned with a 6mm rod to give it xtra strenght. I used 12" bicycle wheels which I want to replace with better ones if I can get them. 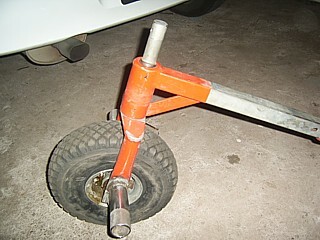 I made a support for my seat from 6mm rod to take my weight of the PPG frame while taking of or landing. The drop mech. 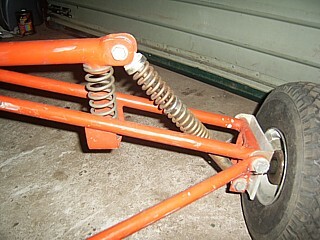 are also 6mm rods that push over the bottom of the PPG frame, to release I push the lever forward with my foot and away goes the trike. 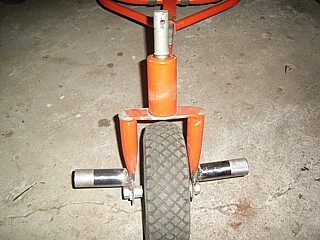 It works very well and the trike is strong enough to take the fall. 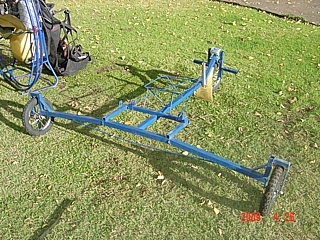 The whole trike weighs about 11kg. The reason why I build it is to help me takeoff in zero wind at an altt of 4500 ft. I use it on almost every morning flight that I do. 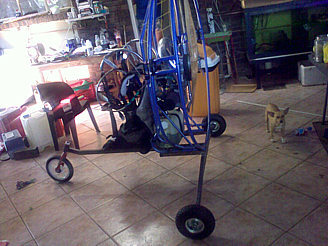 (B) About Renier's Trike made from a kiting buggy. 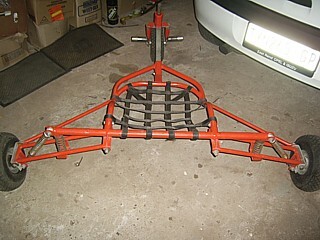 The area to attach the powered paraglider still has to be constructed. About a year ago to date, I started scouting for a PPG. 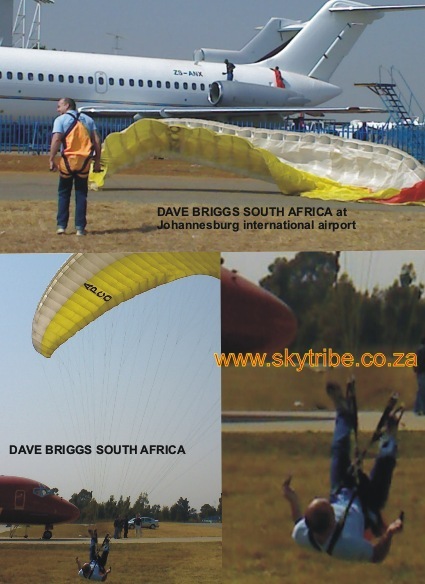 My interest in this fantastic sport was aroused by spending hours in the air, with a friend of mine, in his powered parachute. My first choice was to buy a Buckeye just like the one he had, but needless to say, the price was completely out of my reach. After spending hours on the phone and searching the net, I almost lost faith in ever being able to fly. I realized the foot launch method was the only option I had left to fulfill my dream of flying. 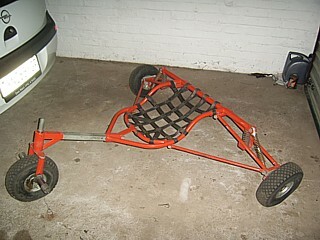 Within a few weeks, he found me a wing, motor, cage and harness - perfectly suited for my weight, size and my wallet!!! As part of the deal, Dave sent me a copy of his book and the best PPG manual that I have seen, written by himself and probably the largest and most informative in the world. Finally, my dream came true!!!! THX DAVE!!! In my own experience thus far, footlaunching is not the easiest thing to master but I am slowly getting the hang of it. 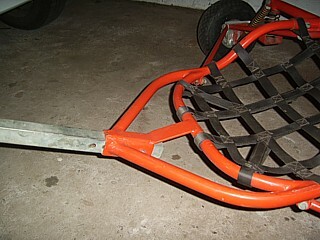 I am in the process of converting my PPG to a trike using a simple wheelbase/buggy to connect to my existing setup. Buying a complete setup would cost a fortune but by building it myself, I save in the region of R8000 or even more. 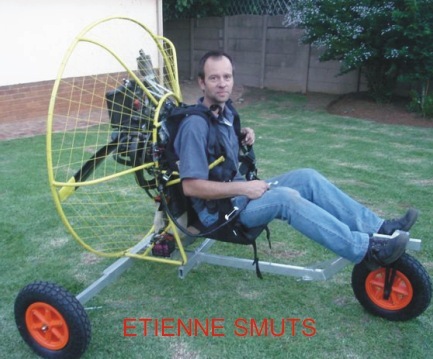 A straight forward powered paraglider made from a motor bike engine and then bolted to an undercarriage designed and manufactured by Etienne--------. 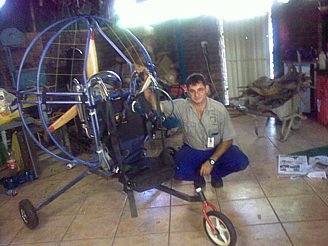 A skytribe Solo 210cc which was attached to the undercarriage made by Sout De lange (but being able to be removed and converted to a foot launched version at time required). WHAT DO OUR plans CD CONSIST OF?? We have what is probably the world’s most comprehensive document on this sport worldwide. 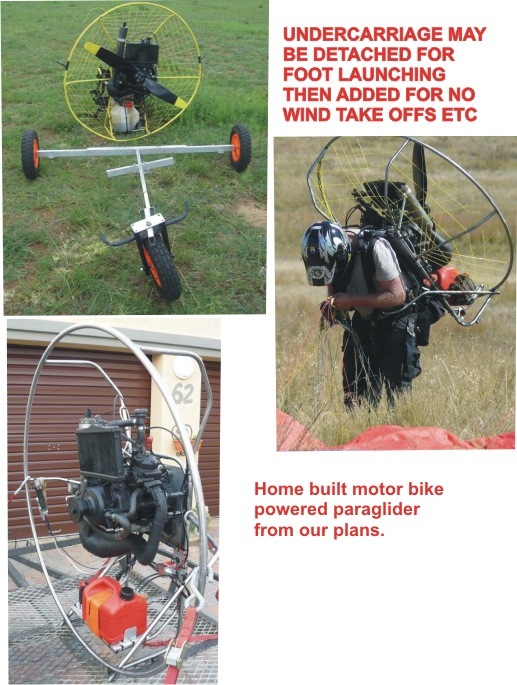 Apart from many different designs and recommendations for various set ups we have a full color section on assembly hints and a e book of over 260pgs on powered paragliding called ‘an insight into powered paragliding”. We also have a video, which is around 26min on the sport included on the same cd. Cost 95US$ excl postage. 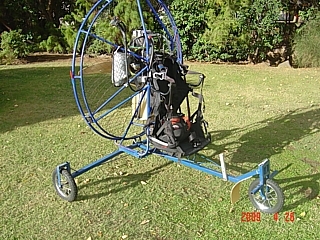 You can also purchase the powered paragliding e book which may be printed separately with a video included. Cost R220 excl postage.. If you would like to view the video with a few extracts first on a separate DVD or CD we will gladly send you it. All we ask is to cover the postage and costs. 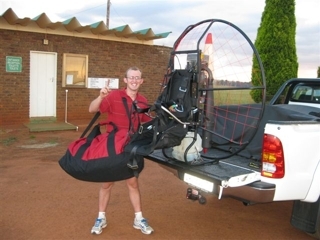 Ever thought of owning your own aircraft that fits in the boot of your car. May be asembled in a few minutes and take off distance is no more than a few steps. 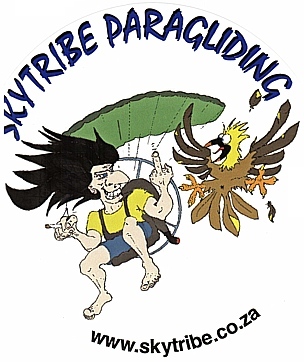 SKYTRIBE - South Africa has just the answer - a motorized paraglider. Again what makes this one of the safest forms of aviation available is firstly the slow forward speeds (around 30-40 Km ph), and secondly the fact that it really is no big problem if the engine dies. 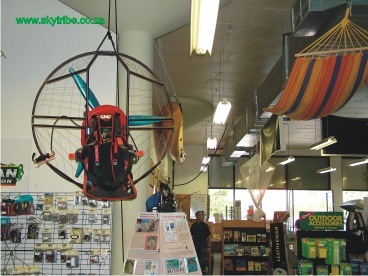 You simply glide down as one would in conventional paragliding or parachuting. 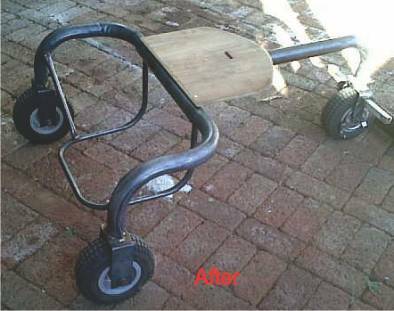 Nickie Oberholzer and his home made trike that he fitted to his Solo 210cc to. 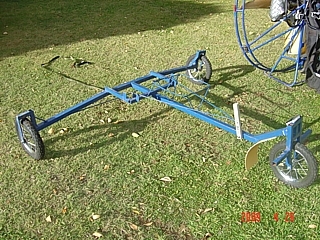 This was later converted to a system where it can be locked into place and flown as a trike or cut away from the air and dropped so as to fly as a conventional ppg again. 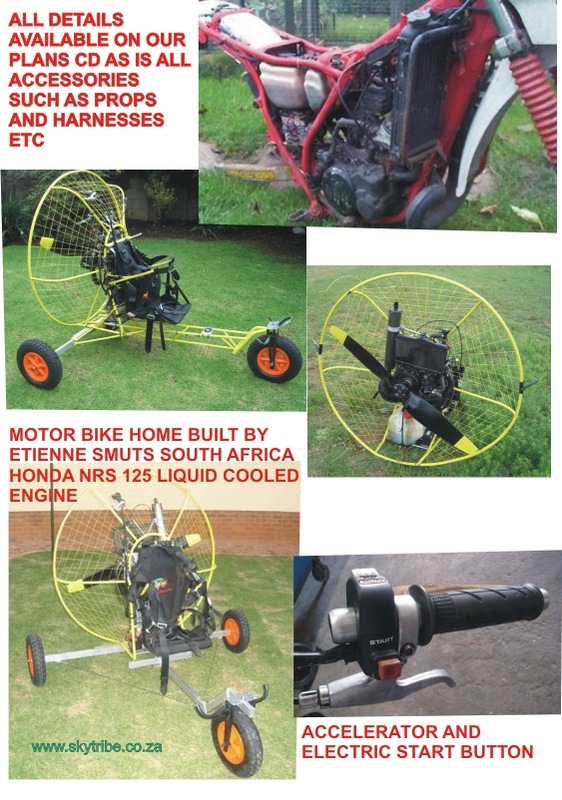 Here shown one built very successfully by Leon Potgieter. lifting off the ground on take off and shudder of the front wheel. It also gives a bit more stability.